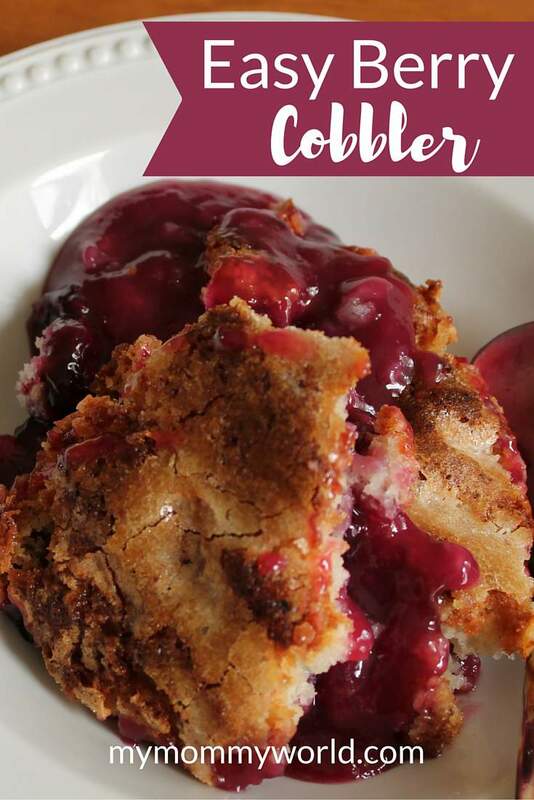 This berry cobbler is one of my all-time favorite desserts…I’ve been eating it since I was a little girl, as it is an old family recipe. With a cakey topping that is slightly crisp from caramelized sugar, and a thick fruity syrup that surrounds sweet fruit, it tastes great warm from the oven or cold from the refrigerator. 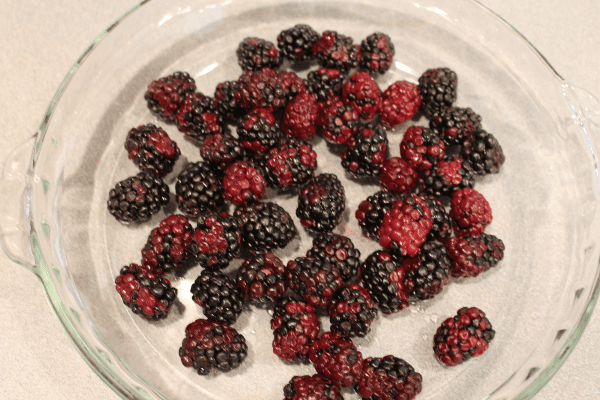 Although it is perfect for summertime using fresh seasonal berries, you can also use frozen fruit in the winter. I’ve also made this cobbler with a variety of fruits…blackberries, boysenberries, sliced peaches and blueberries…and they all taste delicious. To begin, place your fruit in the bottom of a 9-inch dish. I was a little short on fruit in this instance…your fruit should completely cover the bottom of your dish. Cream together the sugar and shortening until it looks like wet sand. Add the remaining ingredients, alternating between wet and dry until batter is smoothly mixed. Pour the batter over the fruit and spread it out evenly. Combine sugar and cornstarch and pour evenly over the top of the batter. It looks like a lot of sugar, I know, but don’t freak out…it will all work out in the end. The next step is strange, I’ll admit, but don’t skip it! Right before you are ready to put the cobbler into the oven, you’ll want to pour one cup of boiling water over top of the whole cobbler. Immediately put the pan into the oven and bake until finished. It’s a good idea to place your pan on top of a cookie sheet while in the oven, to catch any drips so that they don’t burn on the bottom of the hot oven. I’m not sure what I like best about this dessert…the cake or the fruit…but I do know that I could eat a whole pan of it by myself! This cobbler is yummy all on its own, but you could add a scoop of vanilla ice cream to put it over the top. You can also double this recipe for large crowds…just be sure to bake it in a 9 X 13 dish. Preheat oven to 375 degrees. Line a 9-inch pie pan with fruit. Cream together the 3/4 cup sugar and butter until the consistency of wet sand. 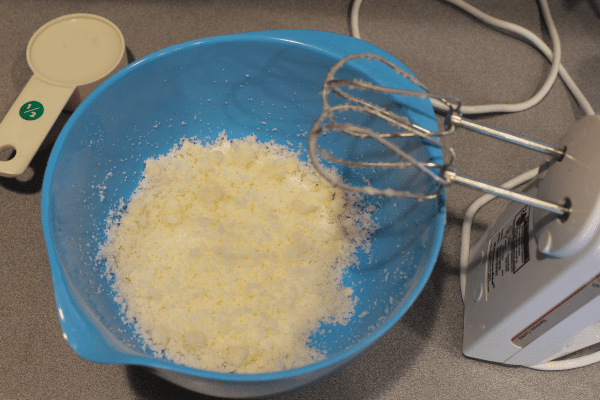 Add milk, alternating with flour mixture,to the butter/sugar mixture a little at a time to make the batter. Pour batter over fruit and spread evenly. Combine 1 cup sugar and cornstarch and sprinkle over batter. Pour boiling water over whole thing. *If doubling recipe, bake in a 9 X 13 oven proof dish. We love cobblers and crisps at our house. This one looks delicious too. Neat how this recipe works with the cornstarch on top, instead of mixed in with the berries. I’m pinning it. Wow, that cobbler looks delicious! Thanks for sharing the recipe, Erin. This cobbler looks yummy. I can’t wait to try this out. Thank you for sharing this on the #HomeMattersParty and I hope you will come back and share again. In the directions, you mention butter, but it’s not mentioned in the ingredient part. Oh dear, I’m so sorry Linda! Thank you for pointing that out to me…I guess I just omitted that by accident. I’ve fixed it now, so it reads properly.